Every year the city of Eugene closes its downtown streets for car traffic and opens them (for a fee) for the people. Vendors, musicians, and all sorts of events take place. This year it happened on the weekend of August 26-28. You can see assorted pictures of the Celebration on the “Only Pictures” page of the site. 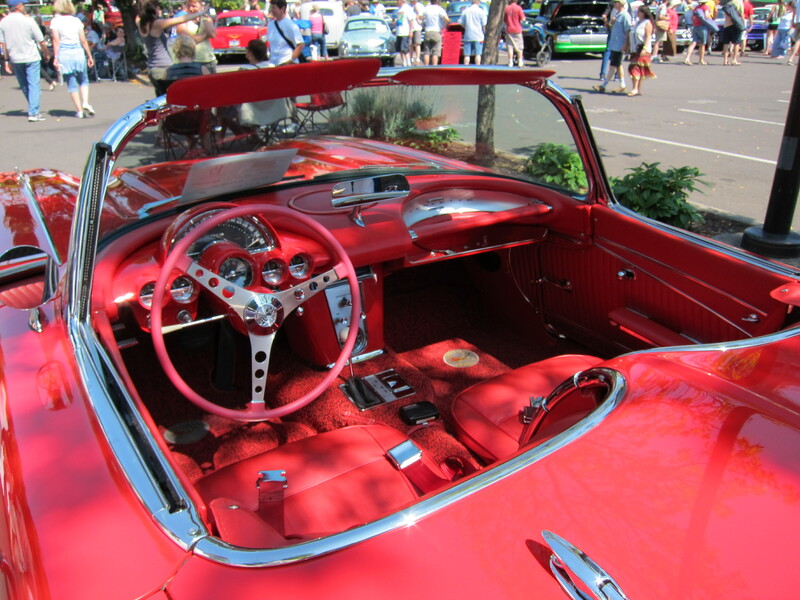 Here I will show pictures of a few cars that were on display Saturday afternoon in an area of the celebration. 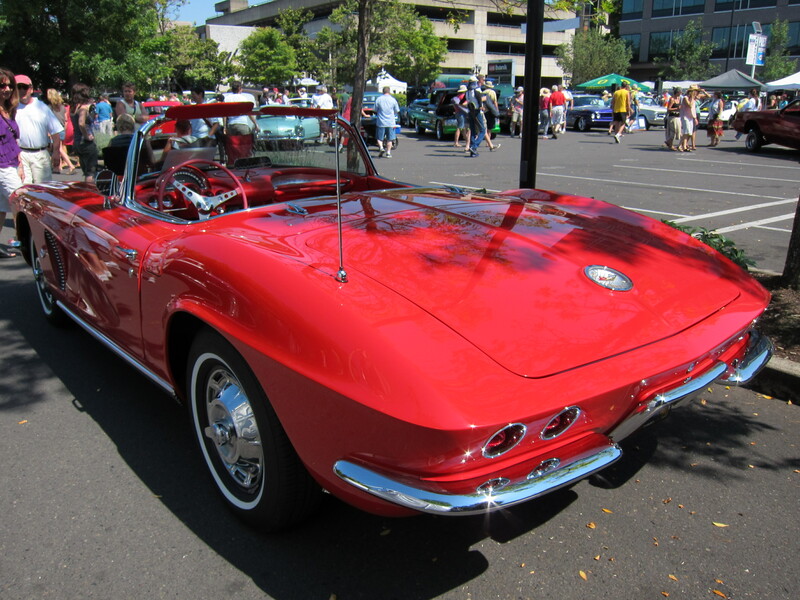 I used to have an auto-rama slot car set, and the two cars were a blue and a red Corvette. Of this vintage here. This one is in great shape. 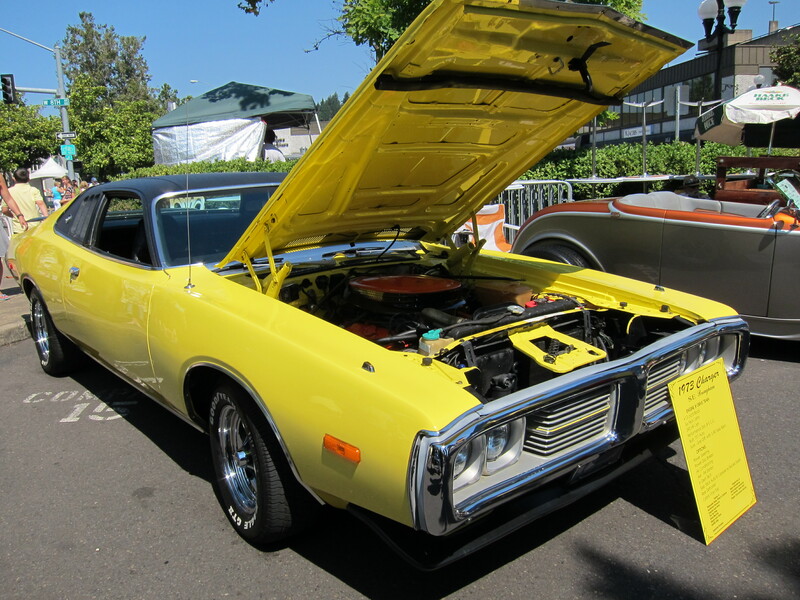 And what about this 1973 charger? Reminds me of when Matchbox cars collections were graduated to Hot Wheels cars. 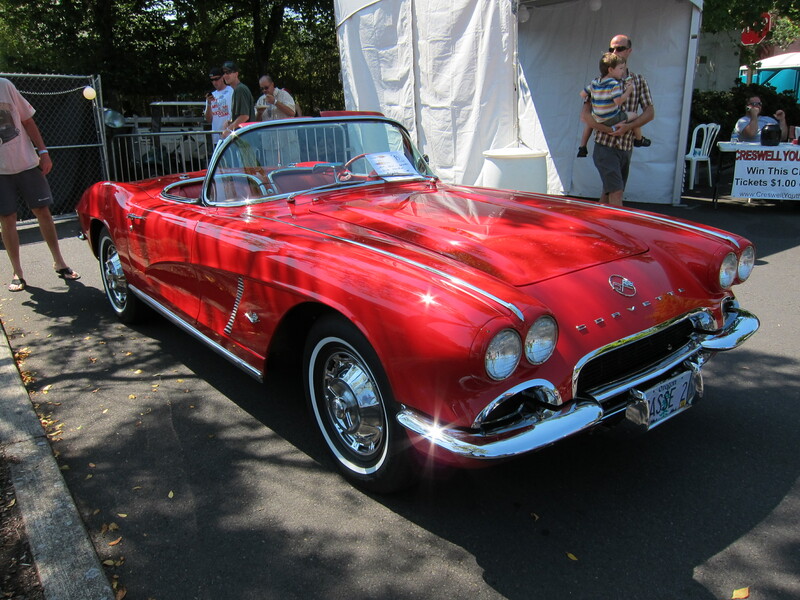 Beautiful car, nice color, completely straight body. There were many other cars, but these two are the ones I considered most valuable and significant to me. 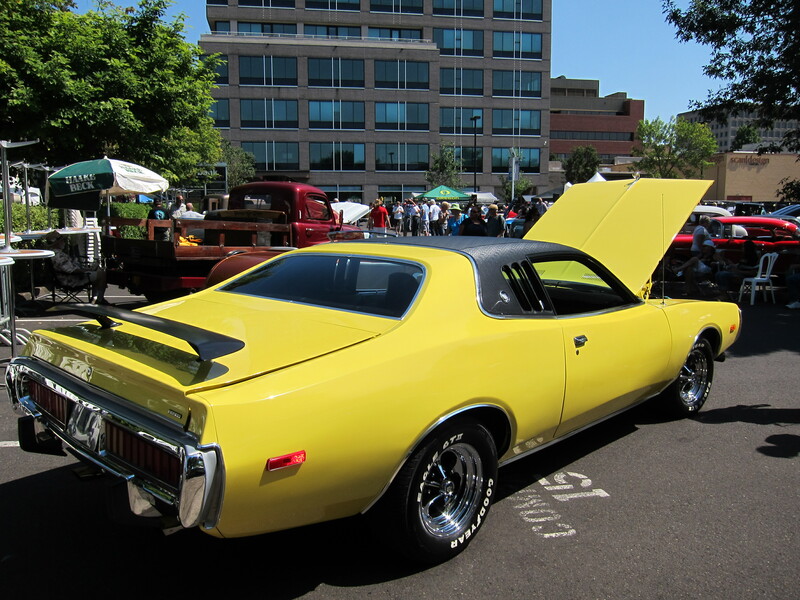 This entry was posted in Random Thoughts and tagged corvette, dodge charger, eugene, eugene celebration, oregon. Bookmark the permalink.